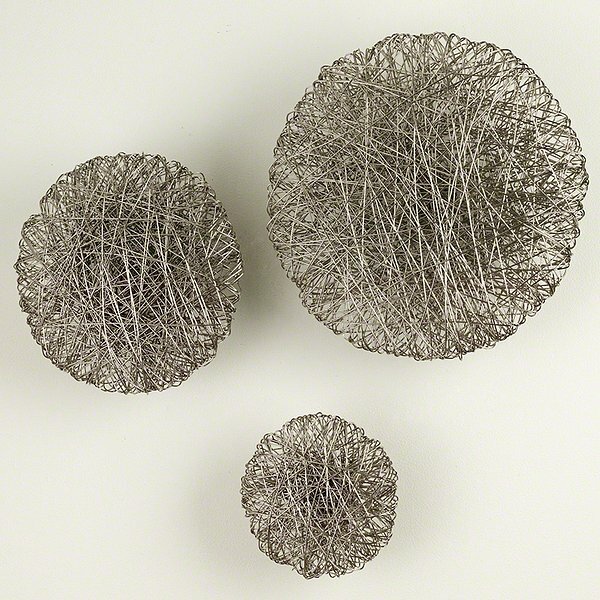 Global Views 9.92126 - Hand-wrapped, chrome plated iron wire. These beautifully engineered pieces are inspired by modern jewelry. There is a hidden disc. with security hardware for mounting to a wall. Shown as a set, but sold individually.